There are a number of tech events this month in the greater Burlington area, many centered on Innovation Week Oct. 15-19, with events including a technology and arts "Sector Mash," Investors' Summit and healthcare conference. As part of the week, the vtTA is presenting a "Let's Tech Together" Lunch & Learn panel discussion on blockchain technology and opportunities in Vermont. Vermont passed legislation this year that enables the creation of blockchain-based limited liability businesses, putting it at the forefront of states welcoming entrepreneurs who want to lead in the application of this technology. This session is an opportunity to hear an informal panel of representatives from businesses that are innovating and providing leadership in the use of blockchain technology. The week concludes with the annual Tech Jam event on Oct. 19. Meet representatives from some of Vermont's fastest-growing companies at this annual career and tech expo. The Vermont Technology Alliance is an organizing partner with Seven Days, which produces the Tech Jam event. The vtTA also presents the annual Tech Jam Awards at the event to recognize some of Vermont's tech innovators and leaders. The nominations have been made and the judges have selected the finalists. Now the voting is in process to select the 2018 Tech Jam Award winners. Who will win the Jammies? It's up to you! Public voting on Tech Jam Award finalists is open until midnight October 16, 2018, so act soon. Enter your vote here. And then be sure to attend the awards ceremony at Tech Jam to cheer on all the finalists and watch the selection of the winners. Also, plan to visit the Vermont Technology Alliance booth at the Tech Jam and say hello. We'll be there with more than 150 job openings from our member businesses to check out. We're able to work on behalf of Vermont's tech sector thanks to our members. We welcome new individual and business members. Find out more here. We have sponsorship opportunities in our newsletter, for our Lunch & Learn and social events, on our website, and much more. Innovation Week is a week-long series of events showcasing the entrepreneurial and technology ecosystem in the greater Burlington area and Vermont, featuring a major event each day. The Vermont Tech jam is a free, one-of-a-kind job fair and tech expo that draws thousands of job seekers, entrepreneurs, and tech professionals. Meet representatives from some of Vermont's fastest-growing companies at this annual career and tech expo. The Vermont Technology Alliance is presenting a "Let's Tech Together" Lunch & Learn panel discussion on blockchain technology and opportunities in Vermont. Hear from four leaders at the forefront of the adoption of blockchain in Vermont. The Renewable Energy Vermont Conference is the leading event for the renewable energy sectors in Northern New England. The Vermont Women's Fund hosts Reshma Saujani, founder of Girls Who Code, at its annual benefit celebration. Saujani founded the national nonprofit in 2012 to close the gender gap in technology by creating a network of afterschool coding clubs and summer immersion camps for girls. 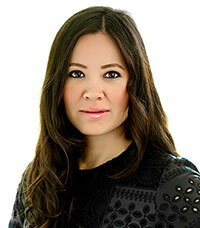 The 2018 UVM George D. Aiken Lecture features Tan Le, who will discuss her childhood fleeing from war-torn Communist Vietnam to becoming an inventor, entrepreneur, and Founder and CEO of neuroengineering company EMOTIV. Officials say Vermont doesn't have enough workers to support the tax base, so it's inviting millennials from across the nation to come for a vacation, and maybe find new jobs during their stay. NBC News looks at Vermont's "Stay to Stay" campaign to attract new workers to the state. Nick Floersch is one of the organizers of the first Sector Mash for Burlington's third annual Innovation Week. In his day job, the 39-year-old builds tools for mapping applications as a GIS solution developer for Montpelier's Stone Environmental. Outside of work, he's a "brigade co-captain" of Code for BTV , the local chapter of the national Code for America. This organization of volunteer "civic hackers" provides technological assistance to government and nonprofit entities. Seven Days chatted with him about Innovation Week, Sector Mash and Code for BTV. The future of the GlobalFoundries semiconductor plant in Essex Junction is not guaranteed, said Dale Miller, the senior executive in charge of the facility, in an interview with the Burlington Free Press. At issue: the high cost of electricity in Vermont compared to New York State. GlobalFoundries pays as much as $20 million more every year for the same amount of electricity in Vermont as it would use at its locations in New York State, which could affect future investment decisions at the Vermont plant. 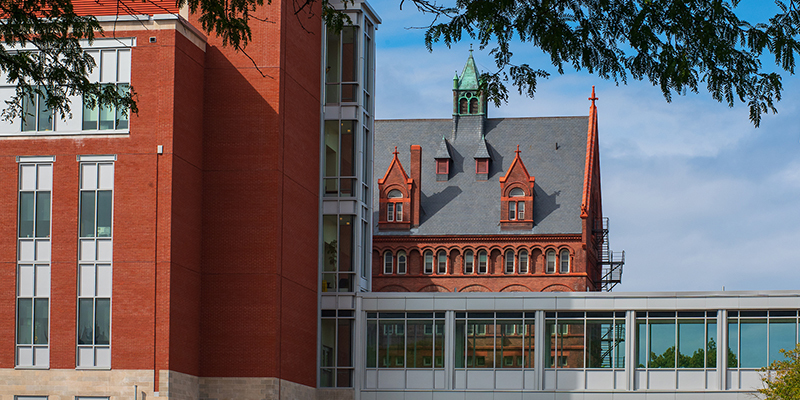 Mutual Life Insurance Company (MassMutual) announced that it is providing $5 million in funding to further advance study and research in the field of data science and analytics at the UVM Complex Systems Center. The funding will support work aimed at better understanding human wellness through data analytics, as well as programming to cultivate a strong pipeline of data science talent. A committee that studied ways of streamlining Vermont's online business registration process - which could cost upwards of $10 million - will pass its recommendations on to the Legislature on Dec. 15. While the Secretary of State's office has an online portal in place now for business owners to use, it was created in 2013 and is limited, said Secretary of State Jim Condos at a press conference in Burlington. The committee hopes to submit recommendations to the Legislature for a new system that would integrate permitting and other regulation into a one-stop system. The co-owner of a South Burlington computer company worries tariffs imposed by the Trump Administration on Chinese imports could jeopardize the double-digit growth his firm has been enjoying for years. 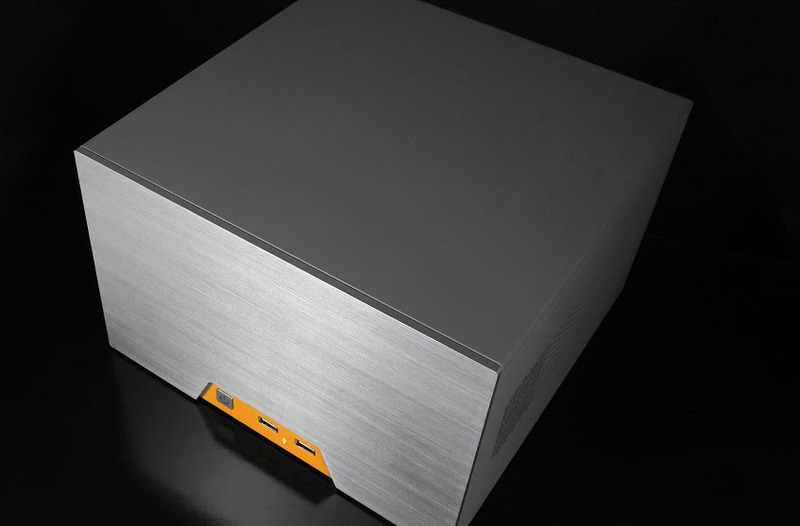 Roland Groeneveld, global CEO of Logic Supply, which he co-owns with his wife Lisa Groeneveld, said the 10 percent tariff on a variety of imported goods from China make necessary raising prices for the rugged industrial computers his company makes. Dealer.com, the Burlington auto inventory software company, was started two decades ago by five friends. Along the way, it hired a number of key employees who were given equity stakes in lieu of big salaries. That turned out to be the best thing that ever happened to them, when the billion-dollar sale of the firm went down in 2014. So what's happened to this remarkable group in the four years since? Turns out most of the founders and key employees stayed put, investing in Vermont companies, buying Vermont real estate and helping Vermont nonprofits. Read the Burlington Free Press Profile. The Vermont Economic Development Authority (VEDA) has approved $7.4 million in financing to support manufacturing, agricultural, small business and energy development projects throughout Vermont. The projects include funding through the Entrepreneurial Loan Program for Burlington-based Packetized Energy Technologies, Inc.
Ceres Greens is a vertical farming company based in Barre that supplies customers with fresh locally-grown produce, year round. 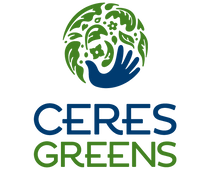 Ceres Greens grows leafy greens and herbs using state-of-the art controlled environment agricultural methods to supply the local market area. As they expand, they will establish similar vertical farming facilities in select markets. Ceres Greens seeks to serve by working towards a future where healthy food is available to every person. According to the United Nations Department of Economic and Social Affairs, the global population will be between 9 and 10 billion people by 2050, primarily in cities. With an ever increasing population and ever decreasing arable land in the United States and throughout the world, a crisis is looming. Controlled environment agriculture, with predictable harvests and the capability to grow close to population centers, is part of the solution to meet this impending crisis. The Vermont Technology Alliance works on behalf of its members and is able to carry out its mission through the support of its membership. We're pleased to welcome new business member Burton and new individual member Ryan Munn of Interchain LLC. Renewing members include BTV Ignite , Inntopia , and Step Ahead Innovations ; and individual member Roger Tubby. The Vermont Technology Alliance welcomes all businesses, organizations and individuals who make up and support Vermont's diverse, tech-based economy to join our non-profit business association. Career Center - and networking and business opportunities. Find more information here , and sign up today to be a new member here . The Vermont Technology Alliance is welcoming the public to vote to select the winners of the 2018 Tech Jam Awards. A team of judges have selected the finalists from the nominations submitted. Now it is up to you to select who will win the 2018 "Jammies"
Public voting on Tech Jam Award finalists is open until midnight October 16, 2018 and can be cast here . The winners will be announced at the Vermont Tech Jam event on Friday, October 19 at the Champlain Valley Expo. VMEC is hosting a Continuous Improvement and Innovation Symposium October 26, at the GlobalFoundries facility in Essex Junction. This free symposium is a combination poster session, networking and learning event where Vermont continuous improvement and innovation enthusiasts will gather. Teams will display and discuss their use of a variety of continuous improvement and innovation methods. Vermont Technology Alliance business members can participate in the Gallagher Flynn Salary Survey at a 50% discount. The survey collects and summarizes salary information for participating Vermont and New Hampshire businesses. Vermont Technology Alliance member companies are hiring, and when you visit the Career Center on the Vermont Technology Alliance website you can browse and search for these job openings . The Career Center on average lists 150 tech and non-tech jobs. Jobs available from vtTA members are listed at no charge in the Career Center as a member benefit. For more, click see the vtTA Career Center .